Now that Windows Phone is very close to the exit door, Alcatel, the company that plans to launch a flagship Windows 10 Mobile smartphone this year, is searching for a backup solution in case sale of its Idol 4 Pro don't go as well as expected. Some of you probably know that Alcatel Idol 4 Pro is the next high-end smartphone powered by Windows 10 Mobile, which should be available in the US via T-Mobile. However, a smartphone with a similar hardware configuration has been recently spotted at Geekbench, but instead of Windows 10 Mobile, the device run Android 7.0 Nougat. Could it be possible that Alcatel plans to launch two different versions of the Idol 4 Pro? Or perhaps the Windows 10 Mobile model has been cut out and won't be making it to shelves anymore? Either way, we don't see any reason for Alcatel not to launch a high-end Android smartphone in the United States in the coming months. Not to mention the fact that the phone will run the latest Android 7.0 Nougat, which should make it stand out from other smartphones in the same price range. The rest of the Idol 4 Pro's specs list looks pretty decent for a high-end device, but if you haven't paid attention to our previous reports here is a quick rundown of what's to come. First of all, Alcatel Idol 4 Pro hides a powerful Qualcomm Snapdragon 820 processor under the hood, along with 4GB of RAM and 16GB of internal memory. According to the benchmark listing, the smartphone should boast a 20-megapixel photo snapper on the back, which features LED flash and 4K video recording. 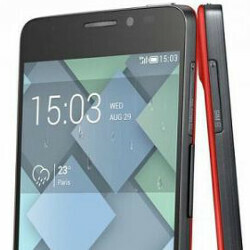 An 8-megapixel front camera is included too. Last but not least, the Idol 4 Pro sports a 5.5-inch display that supports full HD (1080p) resolution, which might be one of it few disadvantages over other flagships available on the market. 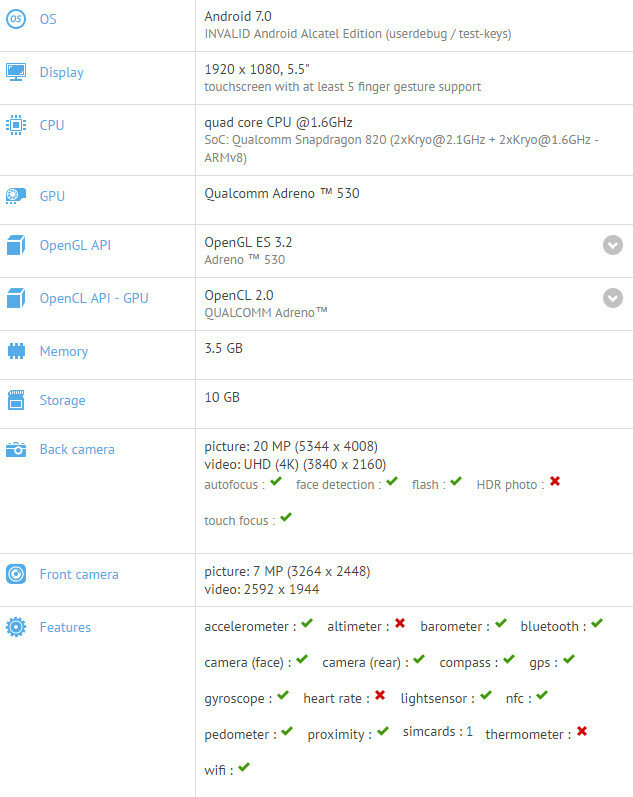 Alcatel paired Snapdragon 652 with QHD display on Idol 4s. But on this phone is Snapdragon 820 with 1900x1080 display. Weird. I just don't see the point of launching a Windows 10 Mobile version of this device. If Alcatel does release a W10 Mobile version of Idol 4 Pro, it'll be as if they're trying to fail.